AMD has finally started to distribute stock of its E-suffixed Bristol Ridge APUs. There's a trio of new such new APUs now available and they are all 35W parts, great for users who want to build low-power systems. 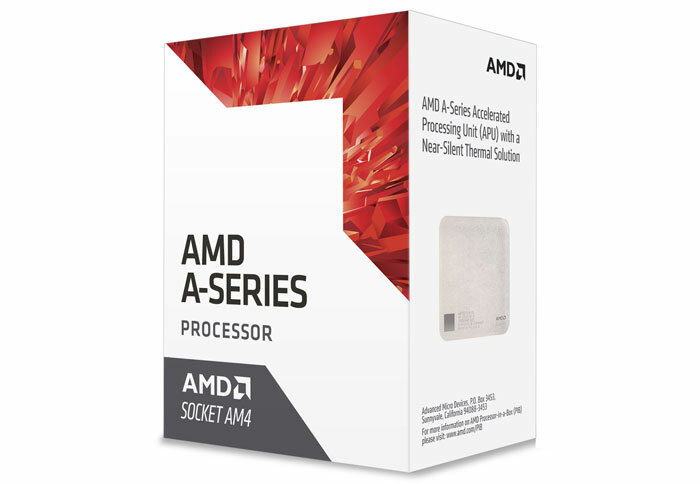 As Anandtech reports, the A12-9800E, A10-9700E, and A6-9500E have now all become available, depending upon your region. They've been a long time coming, the first Bristol Ridge A9000-series APUs were released to OEMs in mid-2016. These Bristol Ridge APUs use Excavator v2 compute modules and, as you can see clearly in the table above, employ either one or two such modules. Within the SoCs the compute modules are paired with a Radeon R5/R7 iGPU featuring AMD's GCN 1.2 architecture and up to 512 stream processors. The TDPs are kept in check with optimally reduced CPU/GPU clock speeds compared to the rest of the A9000 range. AMD's newly available APUs will appeal to folk looking to build compact energy efficient systems and are a welcome addition to the lineup. Anantech reckons there's a growing trend in inexpensive Mini-ITX systems and these SoCs are a flexible solution to address this market. The best US prices for the A12-9800E, A10-9700E, and A6-9500E are approx $105, $85, and $55 respectively (from Newegg). Meanwhile, in the UK you will have to stump up approx £140 for the A12-9800E, and £122 for the A10-9700E, with the new A6-9500E available at Scan for just £45. The 35W Bristol Ridge APUs appear to be a useful stopgap while AMD readies its first range of Raven Ridge APUs, wielding Ryzen and Vega technologies. Bet these are now retail to get rid of the final batches, and any extra stock OEMs didn't want, while they transition production (or testing of) for Raven Ridge. I mean until recently the architectures involved in Raven Ridge weren't ready for implementation anyway, I suppose Vega still isn't with some of its best features software disabled, memory supply high in price and low in stock, etc etc. At least now AM4 has a chip containing an embedded GPU that people can deploy as placeholders for a very reasonable £45. These are made on 28nm, if people are still prepared to buy them they would be pretty cheap to make now. If an APU with Ryzen and good graphics comes out which is the equivalent of an R3 CPU and an RX 550 GPU which together will cost you nearly £200, I can't see that part being sold for peanuts. OTOH, AMD may want to get away from their old budget image and drop slow parts. But otherwise as Ozaron says, I suspect these are just old stock being used up. With a good upgrade path that is way better than a dead end AM3 or FM2+ board. Is there any info yet on whether Raven Ridge will be a 4 core/8 thread plus Vega chip or 4 core/4 thread? Or both even? 4 cores or 2 cores 4 threads? Are people undermining AMD Excavator cores?